established for each client at Marklund. 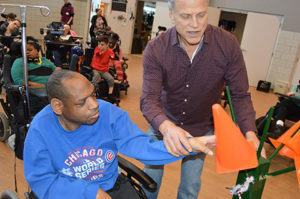 Physical therapy is essential for clients with developmental disabilities in order to maximize their ability to move about their environment, help determine the best ways to position the clients for optimal comfort and respiratory health, and provide proper wheel chairs to make their environment more accessible. Marklund currently employs three Physical Therapists and three Physical Therapy Assistants. 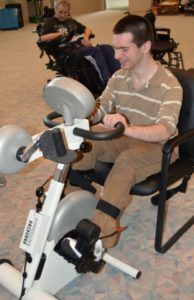 Marklund clients require Occupational therapy to optimize their abilities to perform self-care activities such as dressing, bathing, etc. Also, occupational therapists help clients manage the sensations the clients experience from the outside world as well as within their own bodies. Marklund currently has two Occupational Therapists and two COTAs on staff. Speech therapy is vital to clients with developmental disabilities. Speech therapists work with clients to help them improve their understanding of information and communicate in any way possible such as speaking, using communication devices, using sign language, with pictures, etc. Speech therapists also play a vital role in determining the proper diet consistency for safe and enjoyable eating and swallowing. Three Speech and Language Pathologists are included on Marklund’s staff. 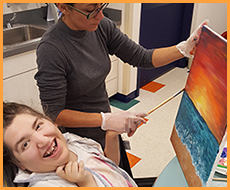 A favorite therapy of Marklund clients, Recreational therapy provides activities to improve or maintain emotional well being to reduce depression, stress, and anxiety. 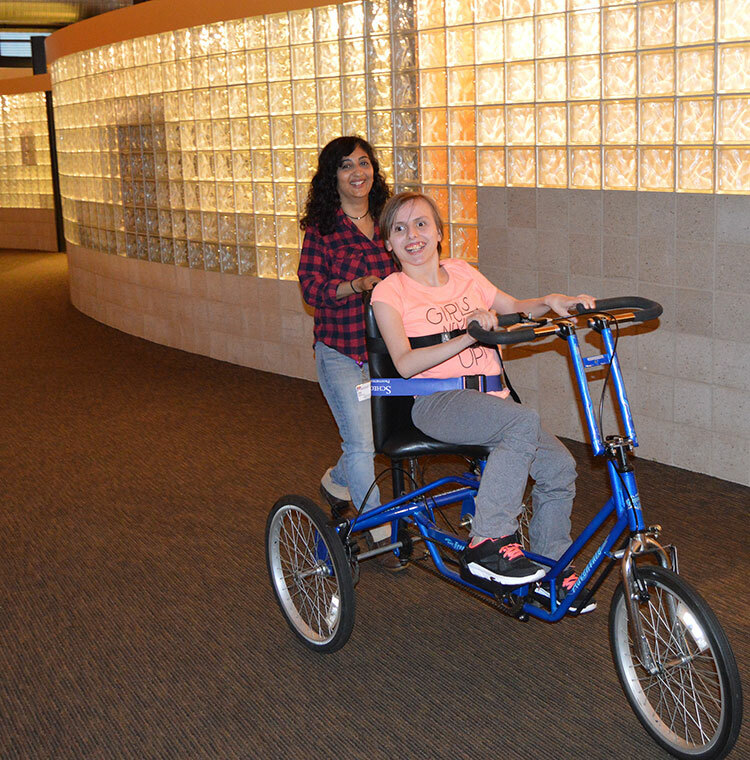 Recreation therapy helps build confidence and helps the clients socialize more effectively. Three Recreational Therapists are on staff. Music therapy is loved by many clients at Marklund. Music therapists work with the clients using music interventions to restore, maintain, and improve emotional, physical, cognitive, and spiritual health and well being. The clients participate, as they are able, to play instruments as well as listen to music. 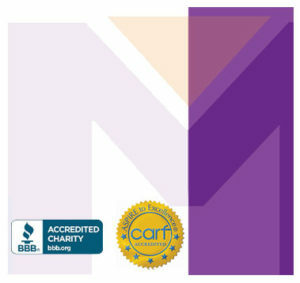 One certified Music Therapist provides Music Therapy at Marklund along with volunteer musicians.